have compositions that use ethnic musical themes? MESTO's conductor and founder, Nabil S. Azzam, Ph.D., is accomplished in both classical European and Middle Eastern musical styles. He graduated with a B.A. and B.Mus. from the Rubin Academy of Music in Tel Aviv and with an M.A. in Musicology from the Hebrew University of Jerusalem. He earned his doctorate in music from the University of California in Los Angeles, UCLA. 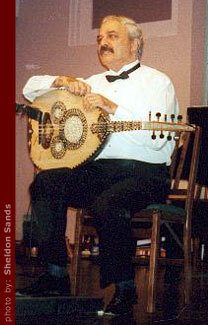 In 1977, Azzam established and chaired the first conservatory of music in his birthplace, Nazareth. He has been acknowledged by several heads of state for his peace efforts and has taught at UCLA, the University of Redlands and the University of California in Santa Barbara. He founded MESTO in 2001 because of his firm commitment to building bridges of cultural tolerance and understanding between East and West through music. 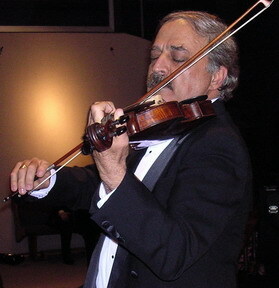 Maestro Nabil Azzam is a seasoned conductor, talented composer and arranger as well as a versatile violinist and virtuoso Arabic 'Ud instrumentalist. He has arranged a majority of the 170 or so compositions in MESTO's repertoire and has composed several of them, utilizing his thorough understanding of both western music theory and the "3/4 tones" or "red notes" used in traditional Arabic and Asian music. He is currently writing two books: The Composer of Egypt: M. Abd al-Wahhab, and The Complete Collection of Songs: A tribute to Abd al-Wahhab, with an introductory analysis and commentary. After many years of waiting Nabil Azzam finally took control and leadership to establish MESTO--Multi Ethnic Star Orchestra. After a long period of preparation, a phone call was made to cellist Dr. Janice Foy. 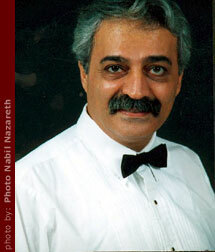 On the line was Nabil Azzam who announced to his colleague about his desire to form a new orchestra. Other calls followed and the orchestra was formed in September 2000. MESTO's debut concert was held on March 11, 2001. That concert was a milestone for the orchestra and the audience alike. The variety of music was indicative of the unique path of MESTO.The reaction of the audience was stunning. Developing and promoting MESTO is Nabil Azzam's primary goal. 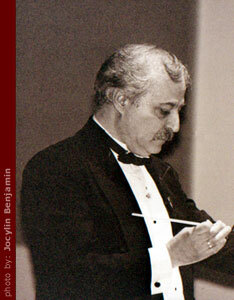 Among Nabil Azzam's recordings are "The Crescent," the first CD released by MESTO; "Full Moon" also released by MESTO. "The Violin Sings" for violin and orchestra, "Palm and Shadows," for poetry accompanied by violin, 'ud and percussion. Both albums are on Nazareth Production Records. 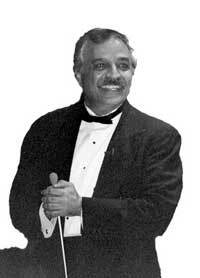 Dr. Azzam can also be heard on numerous other recordings on different labels. He has recorded for numerous American singers. His list of compositions includes pieces for solo instruments, solo instrument and orchestra, ensembles and voice. Nabil Azzam composes in both Middle Eastern and Western styles. MESTO personifies Nabil Azzam's extreme love for music, and his desire to bring about a global cultural understanding and tolerance through the language and medium of music and musicians. He says, "This is my only way."